3 Week Diet Review (2019)- Up to 20 Pounds in 21 Days? 3 Week Diet Review – Up to 20 Pounds in 21 Days? Usually, when people want to lose weight, they are willing to devote some time to it. Studies have shown, however, that most people aren’t willing to devote very much time to losing weight. When people are searching for weight loss solutions, one of the most common searches is for “lose weight fast.” People want to do it, but they want to do it in a hurry. That’s where 3 Week Diet comes into play. 3 Week Diet says you can lose up to 20 pounds in just 21 days, using the methods described in their plan. Three weeks is about the length of time most people can stay interested in any disruption of their daily diet routine, and because of this 3 Week Diet has become a big selling product in the weight loss niche. Is the plan a solid one? Will it work, or is 3 Week Diet a scam? 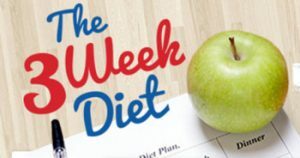 Click here to visit the 3 Week Diet Website. Read on for the full 3 Week Diet review. 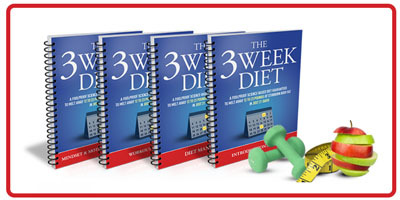 The 3 Week Diet is a four part course delivered in the form of PDF files. As I write, the basic course is priced at $47, though there are three additional related products offered at the time of purchase in the form of upsells. The Introduction manual is the longest and most comprehensive section of the book, running some 65 pages. In this book, author Brian Flatt introduces himself and explains why the 3 Week Diet runs for just 21 days. He also explains how the body metabolizes food, how it has a “fed” state and a “fasted” state, and what kinds of foods your body needs and what your body does when you eat particular foods. He also discusses why many diet plans don’t work, and roughly a third of the book is devoted to three “super foods” that Brian recommends that you add to your diet. He also has a fairly lengthy section of the book where he describes a dietary supplement called “Daily Energy.” Not surprisingly, the book provides a link to a page where you can purchase this supplement. Week one – A diet that’s high in vegetables, with a little bit of protein mixed in. The plan includes the explanation of the “3 pound rule,” which is how you can use the 3 Week Diet to ensure that you won’t regain the weight you’ve lost. The Workout manual is a 17 page PDF that offers a list of exercises in which you should regularly engage in order to speed up your weight loss and keep the weight off. If you thought you were going to find a diet plan that did not recommend that you exercise, we’re sorry to disappoint you. Diet and exercise go hand in hand, and in this book, Brian offers a dozen or so exercises that you can do most anywhere to help keep you fit and keep your body burning those calories. One of the nice things about this section of the 3 Week Diet is that there seems to be no equipment required other than a set of dumbbells, which means that you won’t necessarily have to spend a lot of money on exercise equipment or a gym membership. Of course, a gym membership is generally a good idea, but it’s not a requirement of this weight loss plan. Brian strongly emphasizes walking as a regular course of exercise, and that’s something that pretty much anyone can do. The final 14 page PDF Mindset and Motivation manual may be brief, but it’s important. 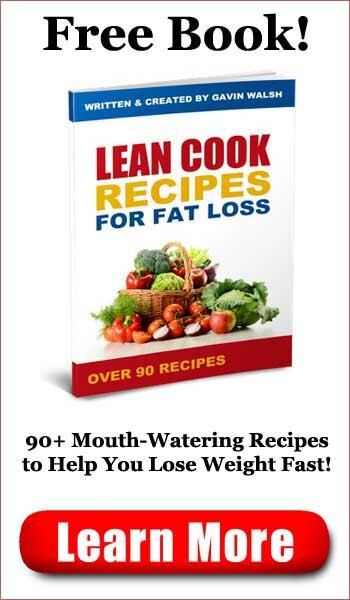 In this book, Brian outlines the steps necessary to ensure that the 3 Week Diet will work for you. It shows you how to mentally prepare for the three weeks of the diet itself, as well as maintaining the necessary mindset to stick with it in order to keep the weight off for good. Too many people fail at this part, as it’s important to stick with any diet or exercise regimen. Otherwise, you’ll quickly fall back into old habits and the weight will likely return. If you’re interested in losing weight in a hurry, 3 Week Diet is tailored for that specific purpose. Brian outlines what your body needs, how you should go about providing that nutrition, and how you should exercise to help your body burn the fat. The fourth book on motivation and mindset will go a long way towards helping people stay properly motivated. Often, the mental part of losing weight can be the hardest part, and finding a plan that works for you and sticking with it can often be more difficult for many dieters than losing the weight itself. While the 3 Week Diet isn’t by any means perfect, many dieters will likely find that the methods work for them. It may also work for you. 4 Minute Fighter Abs Review - Flat Tummy in Four Minutes? 7 Day Blood Pressure Solution Review - Do It At Home? 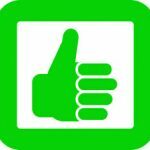 The Alkaline Diet Review - Lose Weight Naturally? The Beta Switch Review - Flip the Switch to Lose Weight? 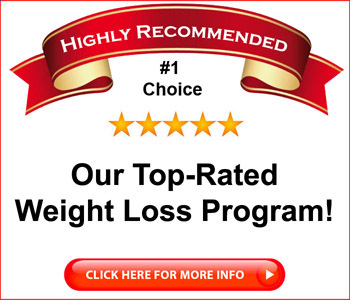 Fatty Liver Diet Guide Review - Treat It Yourself?